Sweet Cove lot in Sunrise Pointe offers protected swimming area for children and grandchildren. The water is good here, and the atmosphere is over the top. Sweet people are closing to build here and call Sunrise Pointe home. 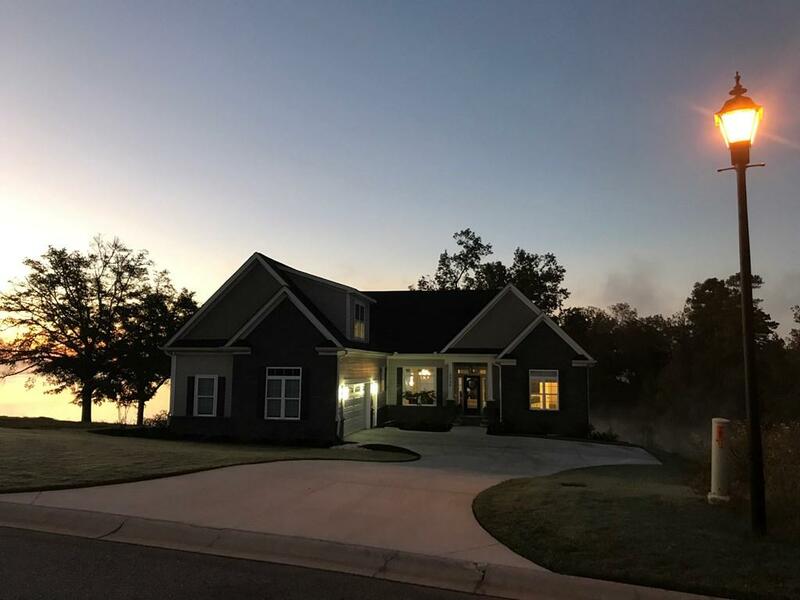 They share a gorgeous waterfront community and a prime part of Lake Greenwood. Laurens taxes are favorable, and high speed internet has already been installed. You're about 12 minutes straight shot into Uptown Greenwood shopping, dining, and doctor's offices. You're only about 40 minutes to Simpsonville/Greenville should you chose to live on the water and commute. -Just 16 lots here, and then neighborhood development is complete. 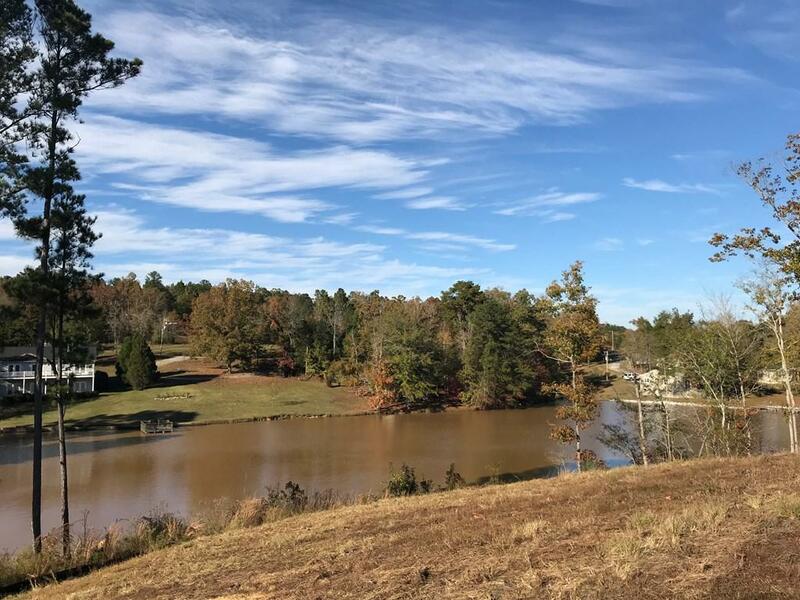 You can secure your gorgeous waterfront lot here now, and build when you chose. If you would like a lot/home package, the developer will give you a reduced price on the lot. We have gorgeous house plans to show you too. Homes are Craftsman Bungalow with stone work, walls of windows, high ceilings, custom cabinets and stainless appliances. We will absolutely build to suit you! 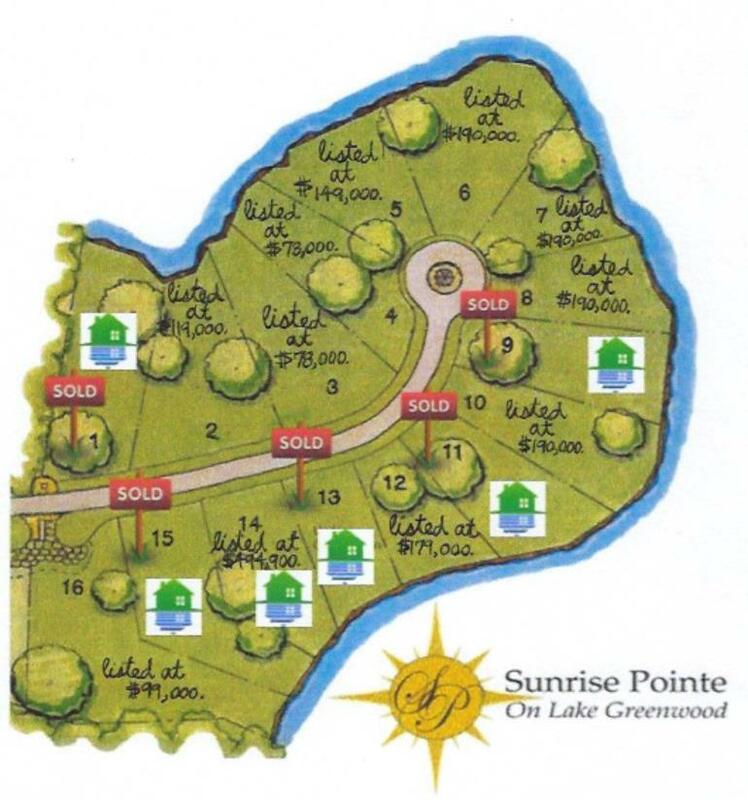 Come see Sunrise Pointe and you too will be Loving Lake Greenwood!